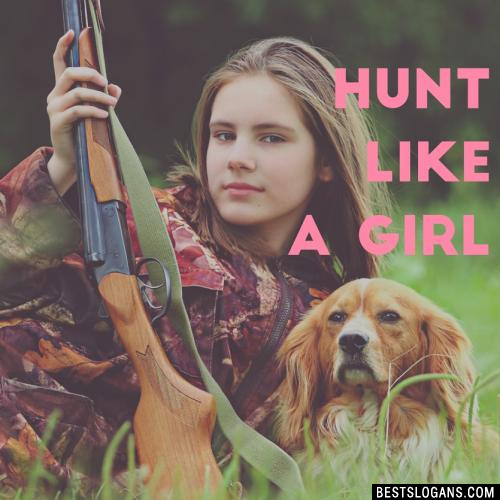 List of hunting slogans, idioms, proverbs, taglines and more including the best inspirational hunting quotes for marketing. A wildlife management tool, hunting helps balance wildlife populations with what the land can support, limits crop damage and curtails disease outbreaks. Avid hunter Theodore Roosevelt created our national forests and grasslands and forever protected 230 million acres for wildlife and the public to use and enjoy. Animals that are hunted in the wild today tend to be better sources of meat because they are able to eat a natural diet and roam free as they were intended to do. Hunting is all about the experience. Like the saying goes, if you're too busy to hunt then you're just too busy. 2 Tis the season to be hunting. 4 Real men hunt for their food. 5 The buck stops here, fear no deer. 6 Everyone needs to believe in something. I Believe I'll Go Fishing. 7 What happens at Deer camp stays at deer camp. 8 Kill em and grill em! 9 If you chum, they will come. 10 Protect your hunting rights; spay or neuter a liberal! 11 PETA: People eating tasty animals. 12 The duck stops here. 13 Let's play duck, duck, moose! 14 Vegetarian: Old Indian word for bad hunter. 15 Rifles, racks, and deer tracks. 16 Live to hunt. Hunt to live. 17 I don't wear bows, I shoot them. 18 If I'm not hunting, I'm thinkin about it. 19 Preserving wildlife, one mount at a time. 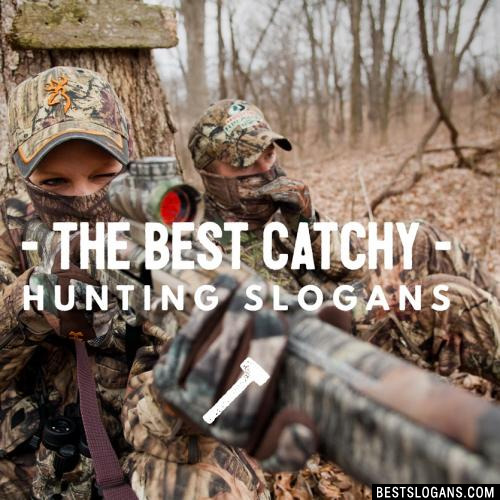 Can you think of a good Hunting Slogans we're missing? Or come up with a clever one of your own. Please share below.